After a huge album from masters of the genre Mogwai and an equally gigantic debut from newcomers Sickoakes, now Japan puts its oar in with a new album from Mono, and it's just superb. I was never really convinced by Mono in the past, for all their credibility and acclaim I never felt that they hit the nail on the head – they had the sound but they didn’t have the songs. 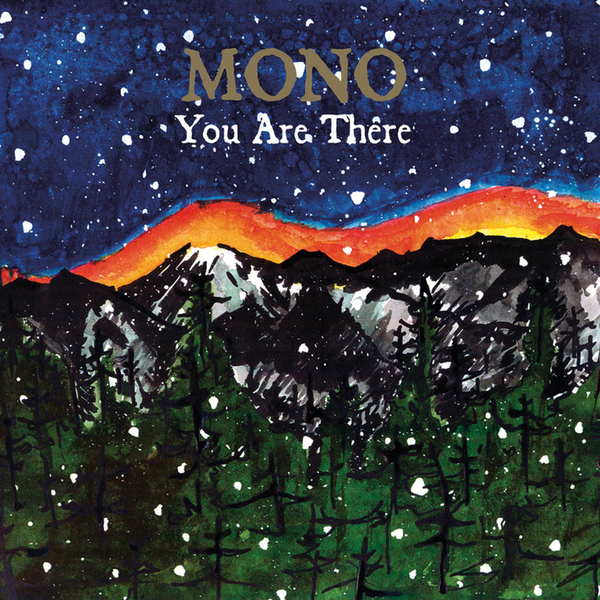 ‘You Are There’ thankfully fixes this short falling deftly and within minutes of the opening track ‘The Flames Beyond The Cold Mountain’ it becomes only too obvious that 'you are there' is going to be quite a treat. They stick, of course, to the old faithful quiet-loud format but if it aint broke you know? And it certainly aint broke, the louds are louder and the quiets are as affecting and as tear inducing as they have ever been. Recorded by the ever-reliable god of all things ‘post’ Steve Albini, this is another instrumental rock album in 2006 going for the end of year lists, it really is that good. If they got any more cinematic they would likely be living in Hollywood and scoring Brokeback Mountain 2, so for now let them score your life.